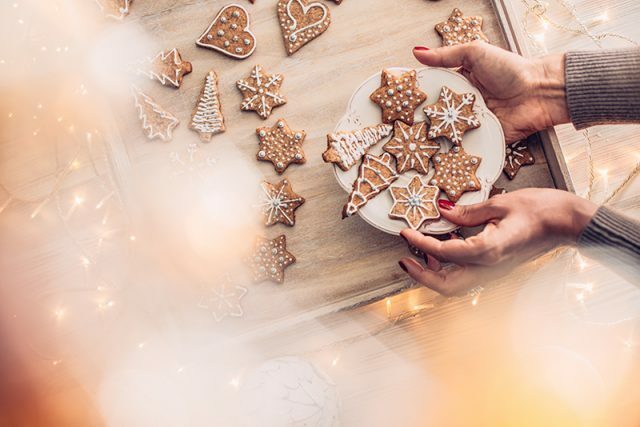 The holiday season, and Christmas in particular, is a magical time filled with customs and traditions that bring about a sense of nostalgia, no matter how old you may be. One of the biggest parts of Christmas gatherings for many people is not the presents they receive but the delicious foods that they get to indulge in! Traditional Christmas meals typically feature many rich foods such as various roasted meats, potatoes, stuffing, rolls or breads, vegetables and casseroles. However, the meal is never complete without some decadent desserts! Thankfully, there are Christmas desserts out there that will satisfy any sweet cravings you may have. Many families enjoy a tradition of baking cookies together around Christmas, especially when children are involved. 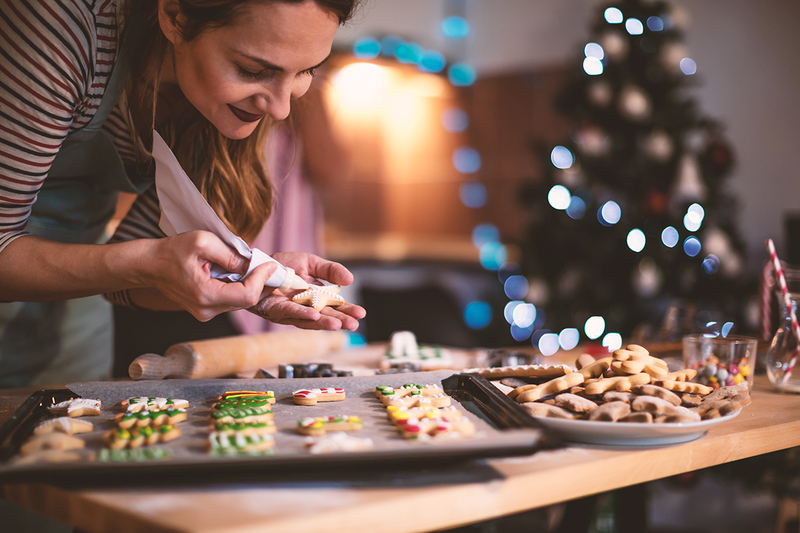 It makes them feel included and allows them to use their creativity, particularly when it comes time to decorate the cookies after they are baked. Colorful frostings, glittering sprinkles and other embellishments take the festive vibe to a whole new level. Gingerbread cookies are a lot of fun and can be made into countless shapes with the help of cookie cutters. They are also a blast to decorate! Sugar cookies are classic and simple yet so delicious and can be rolled and cut out into festive seasonal shapes. Peanut blossoms (peanut butter cookies with a chocolate kiss pressed into the center while still warm) hit the sweet spot of satisfaction. Snickerdoodles, with their delicate balance of sweet and spicy cinnamon notes, are a comforting treat when the weather gets chilly. Pumpkin pie is especially beloved around Christmas because of its warm, spicy flavor attained through ingredients such as cinnamon, ginger and nutmeg. Gooey pecan pie is truly unforgettable, with its rich and satisfying caramelized nuts and intense brown sugar flavor. Fruit pies, especially apple, are also a big hit at holiday gatherings. Mince pies, which are filled with a blend of dried fruits and spices, have been a popular treat for Christmas for hundreds of years and date back to the 13th century! When it comes to the quintessential celebratory dessert, cake is the clear winner. As the most wonderful time of the year, Christmas is the perfect reason to bake up a phenomenal cake. 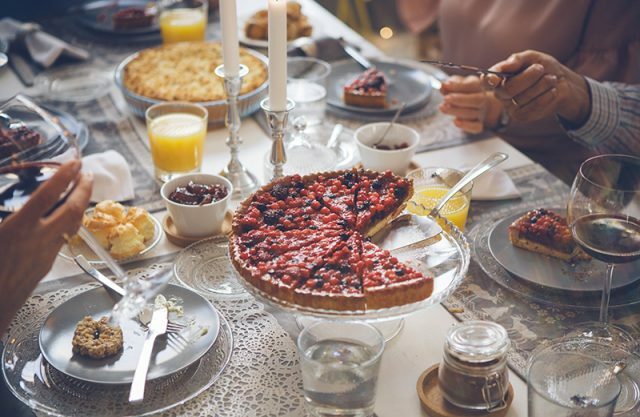 Whether you stick with a traditional family recipe or feel like trying something new and different, you and your loved ones can look forward to a dessert course that will leave a smile on everyone’s faces. 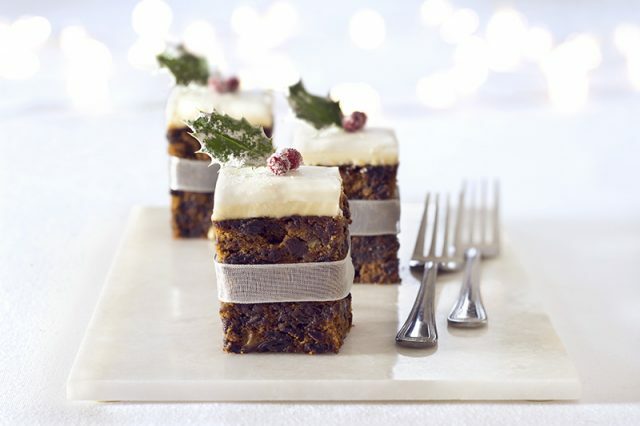 Christmas cake, which is a traditional holiday fruitcake especially popular in the UK, is a delightful mix of citrus and other fruits. Cheesecake can be made in a countless number of ways, and holiday flavors such as eggnog, pumpkin spice or peppermint with chocolate crust are sure to be a hit at any Christmas gathering. Next PostHow do you drink your whiskey?